Toyota decided that the 2015 model year would see the complete re-engineering of its Camry mid-size sedan. The idea was to leave behind the boring to look at and dull to drive reputation. The 2015 redesign did a lot to add a bit of spice to the looks, but the drive remained a touch dull. Toyota has again tried in vain to attract a more enthusiast audience by adding a Special Edition Camry to the lineup. 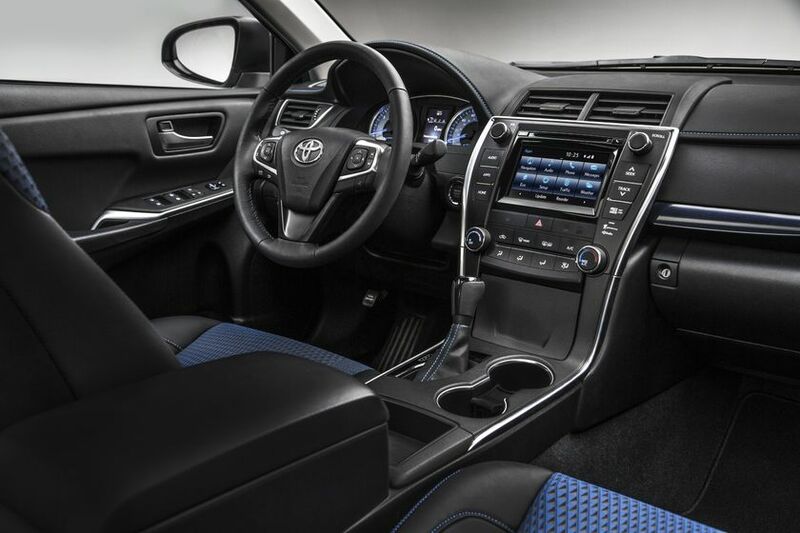 Based on the Camry SE, the Special Edition features sporty additions such as new 18” alloy wheels that have a machined face that is painted gloss black, a power tilt/slide moon-roof, smoked out tail lights, blue stitching on the seats dash and shifter boot, sport appearance seats and blue on white gauges. Toyota has merely tried to make the Camry appear sporty rather than deal with the dull driving dynamics that have always plagued the model. New technology includes a smart key and push button start and Qi wireless charging. This “sport” model is powered by a 2.5L 4 cylinder that is mated to a 6-speed automatic and pumps out 178 hp. Other available powertrains in the lineup include a Hybrid that utilises a 2.5L Atkinson cycle engine tied to a Hybrid Synergy system, and a 3.5L V6 that develops 268 hp and will deliver a sporty 0 – 60 time of just 5.8 seconds ( according to testing performed by Car And Driver). The Camry has always been a very reliable and comfortable family car with no sporting aspirations what-so-ever. It seems that some things will never change.